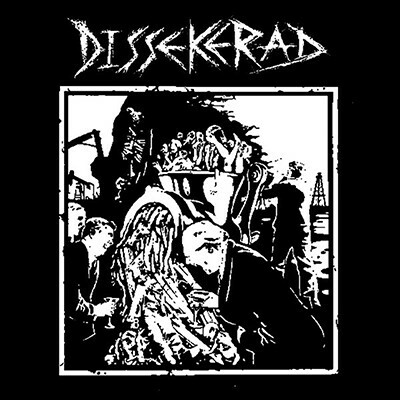 DISSEKERAD is a new band from Stockholm, Sweden with current and ex-members of TOTALITÄR, INSTITUTION, AVSKUM, MAKABERT FYND and others. As you would expect from that pedigree, they deliver no frills, traditional swedish D-Beat, classic stuff that sounds like the best of the style, because it´s played by members who have been banging away at their craft for decades. This is D-Beat in execution with enough ingenuity and creativity to keep things sounding new. Standard edition of 400 copies on Black vinyl, this EP comes in a nice EP pocket cover and extra lyric sheet.